We wrapped up our three part Harley horsepower upgrade project during a summer rainstorm; so you will have to excuse our audio on this short clip. We figured; what better, to drown out the sound of rain, than hearing this motorcycle fire up with it’s new Cobra exhaust system! 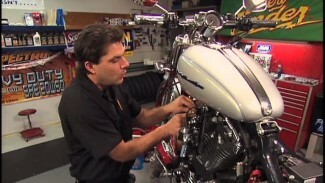 With the air cleaner assembly, Fi2000 fuel management system, and complete exhaust system installed, Bob finishes the job by installing the motorcycle’s negative cable, along with the ground wire from the Fi2000 system. 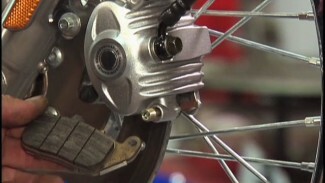 The Fi2000 can be secured with velcro, or double stick tape, onto the top of the motorcycle’s ECM. As usual, before attempting to start and ride; always double check all of your work. 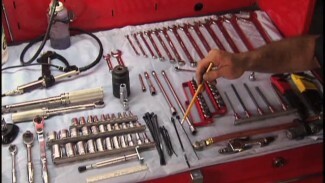 Check everything you put a wrench on. Take nothing for granted. 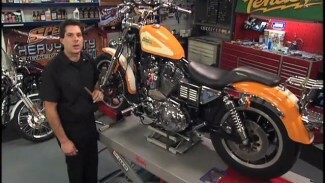 These Harley horsepower upgrades not only look great but they sound and feel great. We are excited to wrap up this job and try it out on the road. I had a Cobra FI2000 installed on my 2009 Ultra. What a disaster. The bike ran like crap and would not accelerate several times. Finally had to junk it and replace it with a PC-V which ran great for years until the bike was replaced.